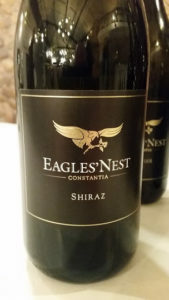 Constantia property Eagles’ Nest was purchased by the Mylrea family in 1984 as an “Alpine retreat” but when a 2000 fire destroyed the pine trees, vineyard was planted, first bottling being in 2005. 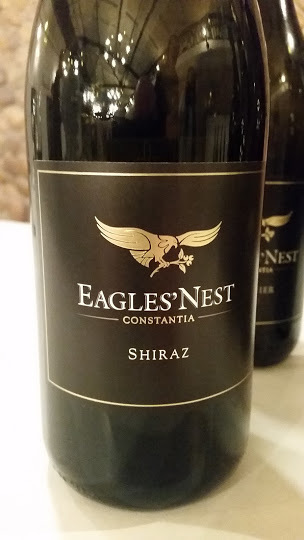 It’s quickly established itself as the source of some of South Africa’s very best Shiraz and this was again re-iterated when winemaker Stuart Botha presented a vertical of the 2007 through 2012 vintages. Made at Constantia Glen where Botha was assistant winemaker at the time. Matured in 100% new oak but this beautifully assimilated. A complex and enticing nose of vanilla and spice, red and black fruit, pepper and smoked meat. Good fruit concentration, fresh acidity and excellent length – in great shape and set to go at least another five, if not ten years. Black fruit plus a note of reduction. Rich and full and lacking the same definition and refinement as the 2007. Picked late by Botha’s own admission. Red and black fruit plus violets and lilies. Medium bodied with fresh acidity and fine tannins. Very pretty. A slight note of reduction before red fruit, smoked meat and vanilla. Generous fruit, moderate acidity and relatively soft tannins. Rich and broad. Red and black fruit, spice and pepper. Lovely fruit purity and freshness – elegant and detailed. Relatively shy on the nose. Full and deep on the palate with luscious fruit – more black than red – and smooth tannins. Polished in the best sense.